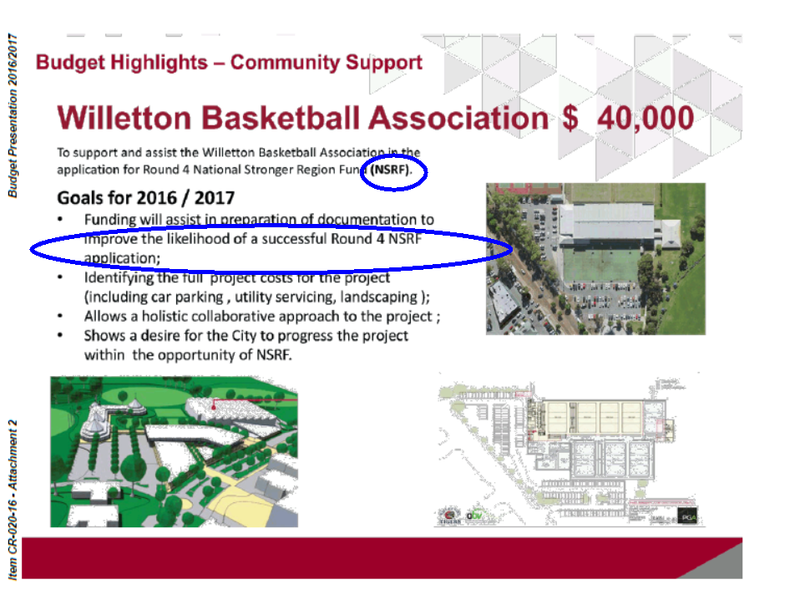 How many Perth councils may have hopes this coming financial year that the National Stronger Regions Fund (NSRF) will assist them in upcoming budgeted projects? The City of Canning had barely adopted its 2016/17 budget when local newspaper The Canning Times broke the news that the NSRF may not exist within 10 days – if the Turnbull Govt is voted back in. Local reporter Pia van Straalen cottoned on to the fact that a returned Lib-Nat govt plans to “rebadge” the remaining NSRF monies as the Building Better Regions Fund, which would thereafter be available “only to regional, rural and remote Australia and… broadened to include small community groups”. Difficult to say how many people or agencies knew about this – it was less an announcement than an article appearing in a series of small newspapers in the very regions that can now expect exclusive access to the funds if the election goes well for the current govt. 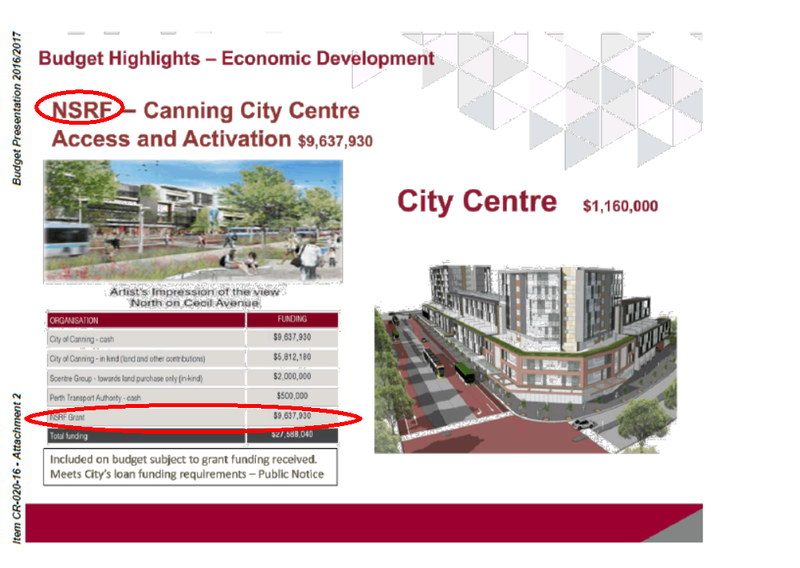 No-one at the City of Canning seemed aware of the situation – our new budget includes, controversially, in my view, a commitment of $2.2m towards funding the Willetton Basketball Association’s (WBA) stadium expansion, and nearly $10m in hoped-for funding towards our new jewel in the crown, the Canning City Centre project. Fed Treasurer Scott Morrison has been in Canning recently – happy to appear in support of the WBA’s plans, as was Ben Morton, the Liberal candidate for the seat of Tangney . One of them at least must have been aware the NSRF monies were not going to be available after 2 July if they got back in? Did they bother to tell anyone that? As for the above projects, on Tuesday night, despite three councillors having their concerns (Crs. Patrick Hall, Christine Cunningham and Tim Porter), the motion to commit to a co-contribution of funds, should the NSRF bid be successful, passed on the same night the budget was adopted. Some of the councillors adamantly behind the WBA’s bid for a stadium expansion will continue to work towards finding other funding sources, but hopefully that process will allow more time for a feasibility study in to the needs of our sporting facilities as a whole first, and for all councillors to be satisfied with the subsequent outcome on moving forward with the WBA. No news yet on what funding will be made available to replace the NSRF. Thanks to Authors User:Herostratus & User:Masur for use of their work.